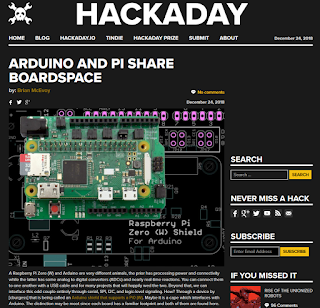 There are lots of uses for Arduinos and lots of uses for Raspberry Pi Zeros. Some of the time it is better to have one over the other but some of the time it is better to have both. This was an elegant solution which combined the two and it was a ready-made product on Tindie, so it seemed fitting to share it. Graphics were a little difficult to find so I took a photo with a white background and eliminated the white, then I took a PCB view and inverted the colors to make it primarily black. 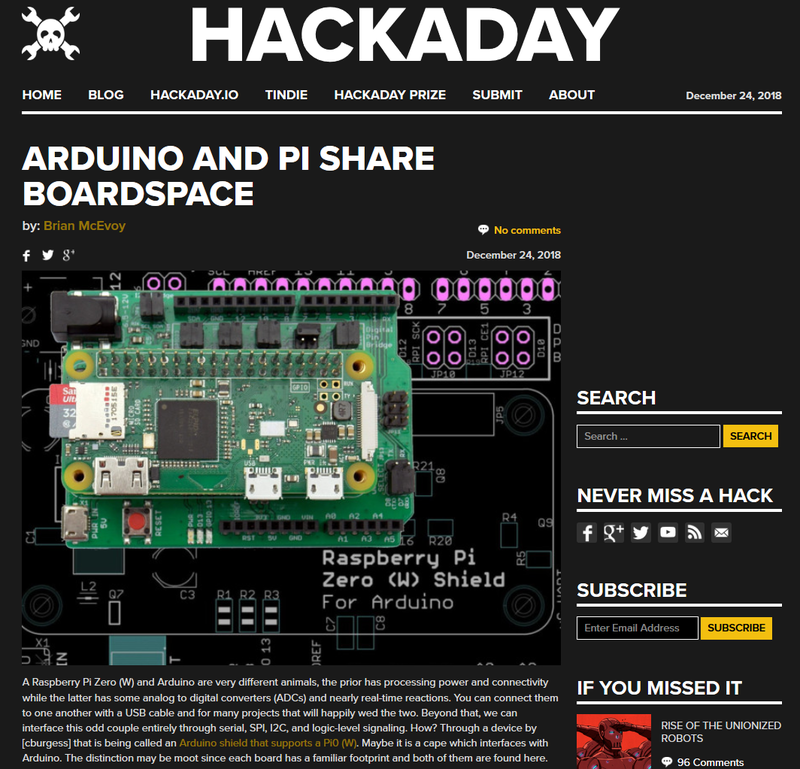 The combination made for an image which nicely matched the dark Hackaday theme.